Teen movie makers! 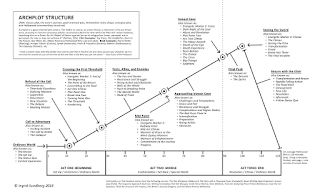 Learn the basics of film story structure and Hollywood screenplay format. We’ll get you ready to write the movie that’s in your head. A screenplay is a heavily formatted form of story that has some very specific industry standards for how it must look on the page. Specialized software can make the task of applying the formatting painless and even fun. 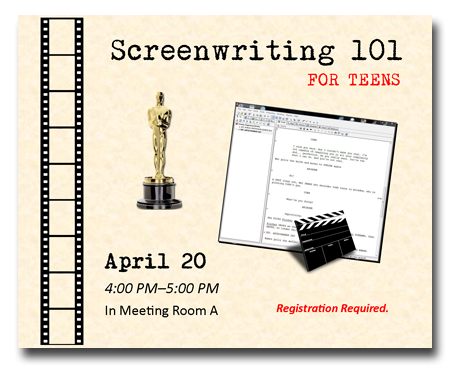 During this program, we'll do a quick overview of one of the most powerful free screenwriting programs, Celtx. The Academy of Motion Picture of Arts & Sciences (the folks who bring us the Oscars), have a handy guide to screenplay formatting available online. There are quite a few sites where you can download complete professional Hollywood screenplays, so you can study how they are written. Okay, this one is just for fun. A catalog of all the ideas that get recycled over and over again in movies and TV. Reading them can give you ideas as a writer for what to do, and maybe what not to do. "Boy meets girl" is a trope everyone knows, but do you know "Doppelganger Crossover?" 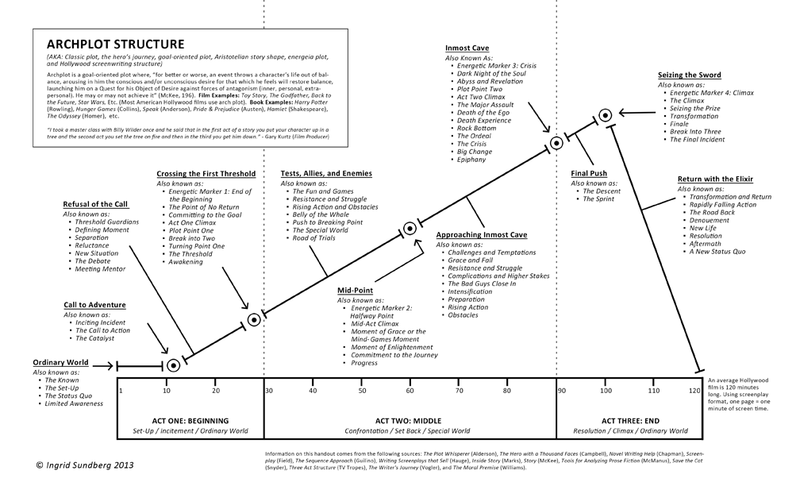 Here is an example of the most common kind of screenplay story structure, "Three Act Structure."